The careful dance between the worthy and the regrettable helps the narration maintain balance, even as its characters careen toward their own ruination. The latest novel from NPR contributor Alan Cheuse draws its inspiration from the true tale of a rabbi who fell from grace with shocking finality. Prayers for the Living is an emotionally raw exploration of how people learn to heal or live with the jagged edges of their pasts. 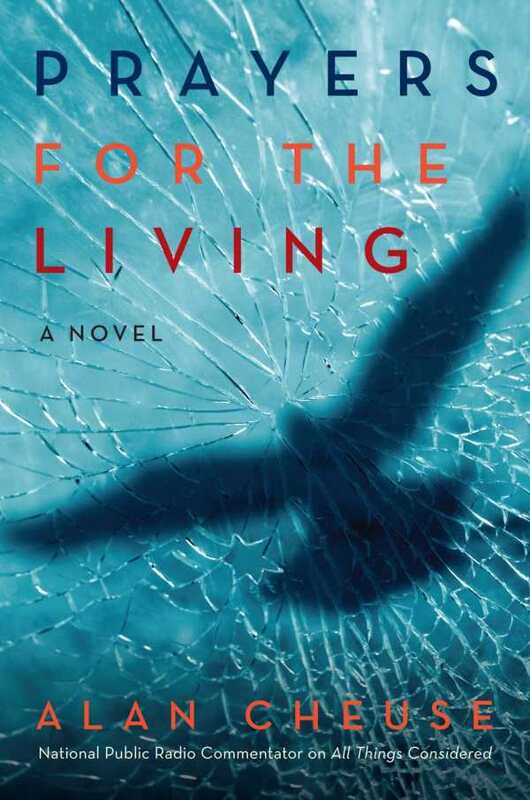 The novel is narrated by the Bloch matriarch, Minnie, who speaks like a Yenta but who soon proves to be the formidable backbone of her hurting clan. In response to prodding questions around her son’s demise, Minnie lays her story bare—but beginning where she thinks is proper, in the old country, where she saved her family from the gas by latching onto the driver of an oxcart. The tale that follows is tinged with good humor and regret. Symbolic of its progressions is a shard of glass, shaped like the Magen David, that resides in the rabbi’s pocket. It is a continual reminder of the day he lost his father and met his haunted future wife, Maby. In troubled times, Rabbi Manny rubs his fingers raw on those memories, and trouble abounds. First with Maby, who inherits alcoholism and untreated family trauma, and then with his daughter, Sarah, whose heartbreak mimics her mother’s, and whom Rabbi Manny proves equally inept at helping. Minnie’s narration is nonstop, even when the events she recounts are preceded by apologies for frankness and vulgarity. She shares Sarah’s angst with sympathy— “they never let the me beneath my skin come out,” the girl complains—and then details Sarah’s vengeful plans. She expresses love for her son, though naming his best sermon as a silent one, and even while exposing the dubious and selfish choices that pushed the women in his life toward madness. Prayers for the Living troubles notions of righteousness and forgiveness, madness, and fate, providing no easy answers while still leaving readers feeling edified. Cheuse’s is a challenging and intelligent novel, replete with beauty and heartbreak, and perhaps even containing a measure of redemption.